More and more pro athletes are going vegan - just take a look at our "Brutes" Pinterest Board! The latest discovery? Jacksonville Jaguars' Montell Owens reveals he's been vegan for two years already! With help from Brendan Brazier ( THRIVE: The Vegan Nutrition Guide to Optimal Performance in Sports and Life), this running back is recovering faster, building muscle faster, and will undoubtedly outlast his peers. 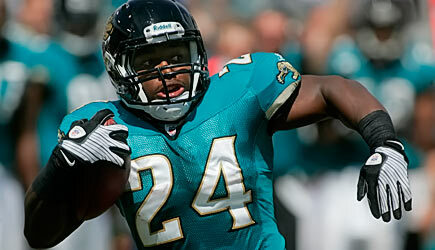 Jacksonville Jaguars' running back, Montell Owens is regarded as one of the NFL's top special teams players. The two-time pro-bowler is doing something that most people would consider radical for a professional athlete - eating a vegan diet. For the past two years, Montell has really focused on his nutrition and he is recognizing how eating a plant-based diet is improving his performance on and off the football field.